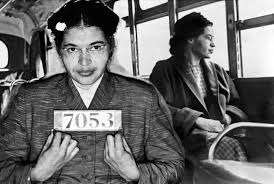 December 1, 1955 "Who Could've Known"
On this day 62 years ago the legendary warrior for justice Rosa Parks stayed seated on a public segregated bus in Montgomery, Alabama. Who could've know that this single act of defiance against the southern system of Jim Crow would ignite a civil rights movement that would save the tainted soul of this nation. Who could've known that this act would lead to the introduction of a 26-year-old baptist minister from Atlanta, Georgia, who would be become the face of truth and justice not America but also the entire world, Dr. Martin Luther King. Who could've known that Rosa Parks remaining seated would motivate black people all over this nation to stand straight and take the oppressive bigots off their backs. Who could've known that this "sister of small stature" actually had the power of All Mighty God within her. That the all powerful weapon against injustice was more mightier than then the weapons of terrorism, bigotry, and hate. Who could've know that Rosa Parks image would end up in the Halls of a United States Congress Foyer, Congress that before had legitimized the oppressive laws that encouraged segregation and hatred of her people. Who could've known that demonstrations throughout the South over the next decade utilizing the method of direct non-violent action would allow the viciousness of Jim Crow and white hatred to be televised and visible to the nation and the world. Who could've known that the Nobel Peace Prize the world's highest award for committed service to peace would be given to that 26-year-old minister, Martin Luther King. Who could've know that in eight years a massive energized public audience would take the Nation Capitol to demand for a people's freedom and full citizenship on The Mall in Washington, DC. Who could've known that on that same Mall a monument would be erected to honor that 26 year-old minister, Martin Luther King, as America's Prophet of Peace. Who could've known that Rosa Parks's action would lead to a revival in communities across the nation and the world to end injustice against all peoples of color. Who could've known that the martyr's of the freedom movement would include the then unknown names of Medgar Evers, Malcolm X, and Martin Luther King. 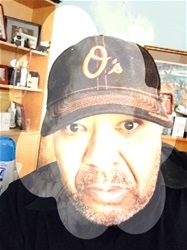 Who could've known that the nation's northern, eastern, and western inner cities would burn due to the built-in anguish of black people locked into lifetime cycle of repression and hopelessness. Who could've known that the rights guaranteed by the Civil War Amendments would finally be honored by passage of the Civil Rights Bill of 1964 and the Voting Rights Bill of 1965. Who could've known that even 62 years after Rosa Parks decided to stay seated for justice this nation would still be imperiled with conditions of prejudice and institutional racism that represses the rights of people of color in this nation. Who could've known, thank you Rosa Parks for allowing history to transpire with your simple act of defiance. America should've known that injustice cannot be allowed to fester. That eventually truth and righteousness would eventually rush down like the rushing river of hope's waters to release a torrent of freedom unclaimed because of man's inhumanity to man.